As already underlined by the majority of political analysts in the United States and around the world, it is extremely difficult to predict what the new elected US President Donald Trump’s policies will be. If it is easier to forecast his political strategy regarding US internal issues, his perspective about foreign policy is still rather unknown, and in particular what role he will take in the Middle East. During his electoral campaign he declared he would impose a ban on Muslims entering the US. 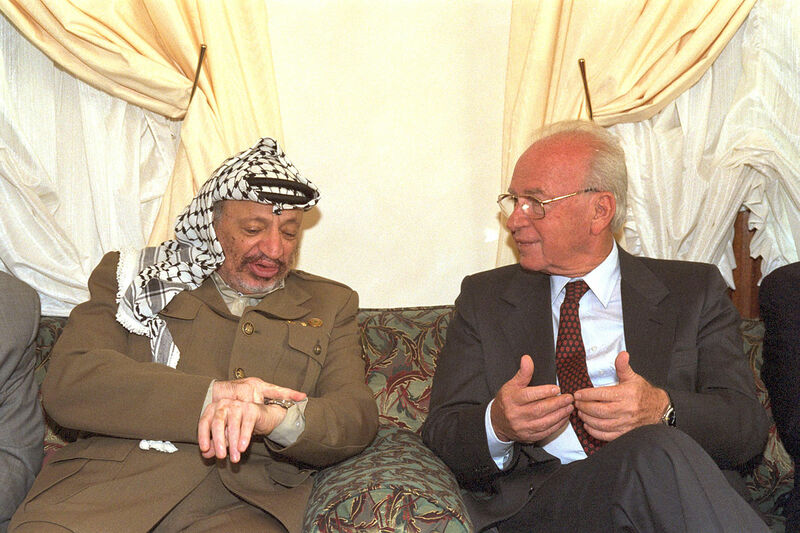 On the other hand he was rather neutral in relation to future negotiations between Israelis and Palestinians. As the diplomatic process to solve the Israeli-Palestinian conflict seems not to be a top priority for Trump’s agenda, it will mostly depend on the staff surrounding him. From a pro-Israel administration to an isolationist approach, everything will be possible. Due to his contradictory statements throughout the electoral campaign, a deep sense of confusion and uncertainty is marking the debate concerning the US’s role towards the current impasse of the Israeli-Palestinian conflict. Not encouraging at all, earlier consultations have pointed out the names of pro-Israel supporters such as Rudy Giuliani and John Bolton for the role of secretary of state, in addition to Trump’s advisors for the Middle East as David Friedman and Jason Greenblatt, who have been in favour of the expansion of illegal settlements in the West Bank and, thus, celebrated by Israel’s pro-settler parties. However, such options will not completely represent a new strategy. On the contrary, the United States has historically legitimised Israeli exclusionary policies, including the construction of illegal settlements in the West Bank. In a parallel way, also the so-called ‘peace process’, led firstly by Bill Clinton and more recently by Barak Obama, had very little influence and has now completely failed. If a wide climate of uncertainty and fear is prevalent not only in the United States but also in many countries in the Middle East, it is also true that such an excitement among the Israeli right-wing regarding a new American administration is rather unique. Just after Israeli Prime Minister Benjamin Netanyahu congratulated Trump by calling him “a true friend of the state of Israel,” one of the main representatives of the Israeli Jewish ultra-nationalist right-wing and Minister of Education Naftali Bennett declared that “the era of a Palestinian state is over. Trump’s victory is an opportunity for Israel to immediately retract the notion of a Palestinian state,” demonstrating a direct connection between Trump’s racist views and Israel’s colonial project. In line with this, Trump would legitimise the construction of new illegal settlements in the West Bank along with the complete Israeli sovereignty over occupied East Jerusalem – the sector of the city that should be under the Palestinian control on the basis of international law, but it has been occupied by Israel since 1967. Moreover, other members of the Israeli government have suggested to move the US embassy from Tel Aviv to Jerusalem, with the aim of recognising Jerusalem as eternal, united, and indivisible capital of Israel. On the other hand, the Palestinian government has immediately called for a just peace in the Middle East “on the basis of a two-state solution and to establish a Palestinian state on the 1967 borders.” Nevertheless, the majority of Palestinians have not given too much importance to this election since they believe that there will be no difference for them, especially those besieged in the Gaza Strip. As the initial hope for Obama’s victory quickly disappeared without any significant change throughout the last eight years, Palestinians are currently certain that the next American administration will also favour only Israel.